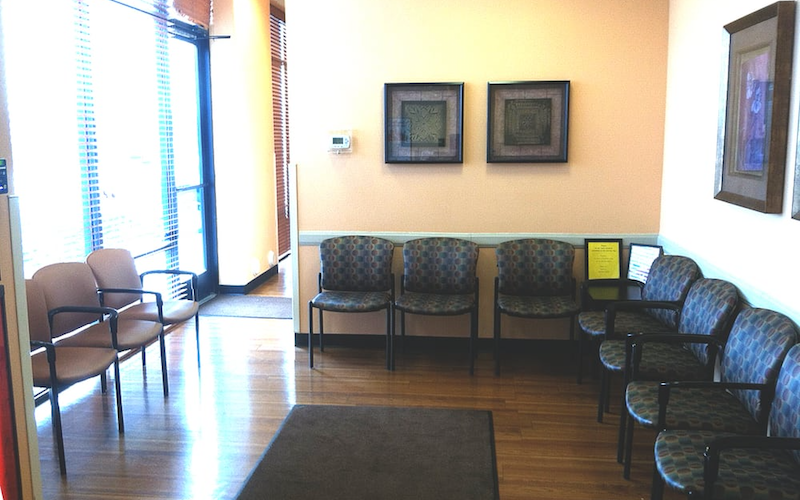 As part of the larger NextCare Urgent Care, this clinic has affiliates with the closest other clinic being in Phoenix about 6.1 miles away and is open today from 8:00am to 8:00pm. Recognized favorably amongst their patients, NextCare Urgent Care, Scottsdale has an average rating of 4.7 stars out of 5 based on 895 total ratings. In fact, recent patients have frequently used words such as "ambiance" and "bedside manner" to describe their experience at the clinic. Certainly not terms you hear about healthcare providers too frequently! Excellent care. Compassionate. Professional. SMART. Doctor was fabulous. Receptionist was less than friendly. She was very short with the patients and seemed like she just wanted to leave. Not at all welcoming. Wait exceeded 30 minutes. Care received by nurse and PA was very good. I've been to the Scottsdale location several times over the last few years. The level of care is very good and they have a friendly team and seem to care about helping their patients feel and get better. The quality of care and the physical facility were all excellent. The only downside is having to wait one hour to see the clinician after my scheduled appointment time. Long wait but totally worth it. 1000%. Bring ur phone totally charged and wait! Great staff who knew what they were doing; were precise about their instructions; and were very helpful about my care. Thank you! Will organized, professional nursing care and Dr. was also Professional and took his time to explain care. Thank you! Walked in and was greeted very friendly!! Very short wait. NP very knowledgeable and nice!! Went the extra mile to help me!! I’ll go back for sure! The staff is amazing, very thorough and thoughtful. Exceptional facility & staff! Sooo much better than the ER, I am delighted to have found this place for non life-threatening emergencies. My son got x-rays, a splint, a referral for his cast and imaging on a disc to take to Ortho next week - all done in under an hour and a half. And the waiting room was not crowded, it was clean, and we were never ignored.